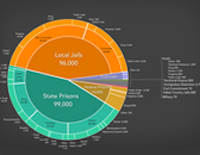 This graph uses U.S. Census data for all people incarcerated in the state, including people in federal and state prisons, local jails, halfway houses, etc. 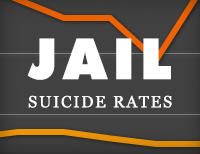 While state and local facilities contain people processed by the Kentucky judicial systems, the federal prisons contain people sent to those facilities by courts all over the country. For our purposes, the fact that federal prison populations are included in the Census Bureau's data as residents of Kentucky would be an unimportant statistical quirk except for that fact that there are so many federal prisons in Kentucky. 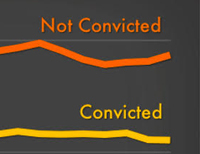 In fact, 20% of the incarcerated people that the Census counted in Kentucky were in a federal prison. 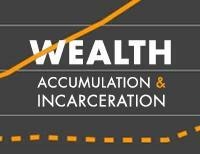 This has a dramatic impact of the demographics of the incarcerated population. 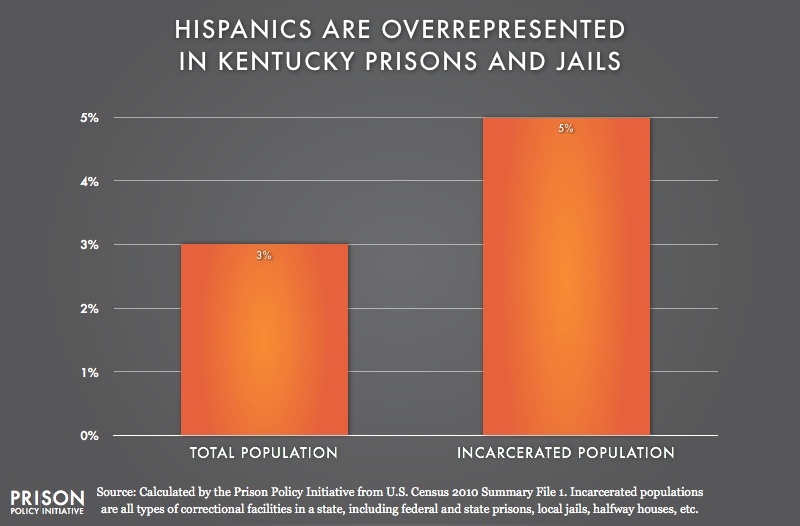 Of the 2,201 incarcerated Hispanics the Census counted in Kentucky, 1,379 (63%) were in the federal prisons and 822 (37%) were incarcerated in all other facilities.